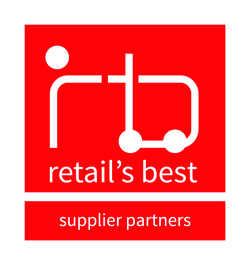 The Retail Industry Awards have a range of categories open to independent, multiple convenience and multiple stores. You can view each category and its entry criteria below. This year we have introduced a number of new categories including; Store Design of the Year, Newcomer of the Year and Trail Blazer of the Year. We have created an entry guide full of top hints and tips to help you maximise your entry and make it as effective as possible. You can download the guide here. Our supplier categories can be view here. This accolade recognises retailers who can demonstrate excellence in the field of chilled food retailing, which is becoming ever more important within the convenience sector. •	How much space is dedicated to chilled produce in your store(s)? •	What percentage of your sales are chilled? •	How do you ensure you have the optimum range to make the most of the chilled food opportunity? •	How have you tailored your chilled range to suit your customer base? •	How do you merchandise the category to make it easy to shop and maximise sales opportunities? How to you use point-of-sale material? •	How do you make use of promotions to drive additional purchases and demonstrate value to your customers? •	What changes have you made to the category in the past 12 months, and what were the results? •	Do you stock chilled produce from local or regional suppliers? If so, please give examples. •	How do you ensure operational excellence within the chilled sector, including maintaining availability, cleanliness, stock rotation, and upholding food safety and hygiene standards? •	How do you manage waste within the chilled category? All entries should focus on achievements in the 12 months to 1 April 2019. Please supply up to 10 photos to accompany your entry. This category is open to all MULTIPLE convenience chains operating on a national basis. This will include groups such as: the Co-op, M&S Simply Food, One Stop, Sainsbury’s Local and Tesco Express and Waitrose convenience store. Retailers should support their nomination by supplying a PowerPoint presentation of no more than 12 slides demonstrating how they have performed in the 12 months to 1 April 2019. The award is open to INDEPENDENT convenience retailers with 10 stores or fewer. We are looking for convenience operators who can demonstrate a clear understanding of the dynamics of online grocery retailing and/or digital marketing, making effective use of the online channel to deliver a strategy that builds both brand and sales. Judges will consider elements such as shopper journey, including quality of the user experience with digital marketing products, transactional websites and service delivery points, as well as the overall efficiency and accuracy of the service. Submissions should focus in particular on activity during the 12 months to 1 April 2019. What is the retailer’s online/digital strategy and how is it implemented? What targets and objectives have you set for the online/digital channel, and how have these been met? What new initiatives have been introduced over the past 12 months? What online marketing and promotional activity have you carried out, and what were the results? How do you measure success? Where possible, please provide financials such as sales figures and growth rates, profit levels, market share and other key performance indicators. Please supply up to 10 photographs to support your entry. INDEPENDENT – This sub-category is open to retailers with 10 stores or fewer that have off-licence as part of the product mix in-store or that are specialist off-licence stores. MULTIPLE – This sub-category is open to companies operating more than 10 stores, whether they are specialist off-licences or where the off-licence is part of the sales mix in a supermarket or multiple convenience chain. Submissions should focus on achievements during the 12 months to 1 April 2019. •	What is your company strategy for the off-licence category and how do you communicate this to customers and staff? •	What range do you offer and why? How many lines of wines, beers, ciders and spirits do you stock? •	What percentage of sales does off-licence contribute to the business and what sales growth have you seen year on year? •	What do you see as the key challenges facing the off-licence category and how are you responding to them? •	How have your relationships with suppliers and specific working practices contributed to the success of the category? •	What training do you provide for staff in the category and what impact has this had on the business? •	How have you increased shopper engagement in the category, through measures such as promotions, sampling, and interaction with the fixture? •	How do you drive sales of premium categories? •	Please provide examples of any specific initiatives that have contributed to the success of the off-licence category within your business. •	Please provide examples of innovative ways in which you have promoted the alcoholic drinks category and involved your staff. Retailers are strongly advised to provide supporting materials, including up to 10 photographs, to accompany their entry. This award recognises retailers who can demonstrate excellence in the field of food-to-go (including hot and cold drinks) within a convenience store setting. • INDEPENDENT – Open to retailers with 10 stores or fewer. Entries must be for a single store. • MULTIPLE CONVENIENCE – Open to multiple chains with more than 10 managed convenience stores. Entries should be for the whole chain. •	What is the extent of your in-store food-to-go offering? What does it consist of? •	How much space do you dedicate to food-to-go? •	What percentage of your sales are food-to-go? •	How do you ensure you have the optimum offer to make the most of the food-to-go opportunity? •	How have you tailored your food-to-go range to suit your customer base? •	How do you merchandise the category to maximise sales opportunities? How do you use point-of-sale material? •	How do you promote your food-to-go offer and communicate to consumers? •	What meal deals do you offer, how do they work and what have been the results? •	How do you ensure operational excellence within your food-to-go offer, including consistency, cleanliness and upholding food safety and hygiene standards? •	How do you manage waste within the food-to-go category? •	Independent – Independently owned forecourt store, either standalone or forming part of a chain of 10 stores or fewer. Entrants must own the freehold/lease of the site, not just the franchise. •	Company-owned – Individual forecourt store forming part of a network of more than 10 outlets that are owned, operated and controlled by a single company with a central head office. Includes franchised sites. •	Multiple – Group consisting of more than 10 stores. This award is for the whole network, not individual sites. Outstanding individual sites operated by a multiple, or run by a contract/commission manager on their behalf, should be entered into the company-owned category. All FRANCHISE GROUPS operating in the UK convenience retail sector are eligible to enter this award. These will include companies such as: Bargain Booze and One Stop Franchise. Franchise groups should submit their entries in the form of a PowerPoint presentation of no more than 14 slides, demonstrating how they performed in the 12 months to 1st April 2019. Please also provide up to 10 photographs to support your submission. All larger MULTIPLE retailers, defined as companies operating more than 25 stores, will automatically be entered for this award, but operators are also strongly encouraged to submit their entries in the form of a PowerPoint presentation of no more than 12 slides. Submissions should focus on performance during the 12 months to 1 April 2019. Judges will be looking to reward the retailer that has achieved the greatest development and success in the cut flowers category over the past 12 months. •	Sales success in the flower category. Supporting documents may include statistics, research, examples of internal and external marketing and other consumer-facing materials. Please supply a selection of up to 10 photographs to support your submission. 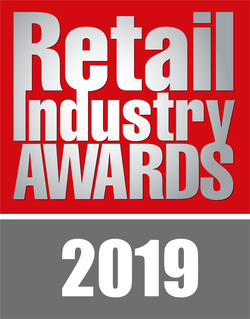 Retailers entering the independent category should either provide a PowerPoint presentation or a 500-word statement describing why they deserve to win this award. All eligible multiple grocers will automatically be entered for this award, but retailers are also encouraged to submit their entries in the form of a PowerPoint presentation of no more than 12 slides. Those wishing to enter should also submit their entries in the form of a PowerPoint presentation of no more than 12 slides. Please provide up to 10 photographs to support your entry. This accolade recognises retailers who can demonstrate excellence in the field of frozen food retailing. • How much space is dedicated to frozen food in your store(s)? • What percentage of your sales are frozen? • How do you ensure you have the optimum range to make the most of the frozen food opportunity? • How have you tailored your frozen range to suit your customer base? • How do you merchandise the category to make it easy to shop and maximise sales opportunities? How to you use point-of-sale material? • How do you make use of promotions to drive additional purchases and demonstrate value to your customers? • What changes have you made to the category in the past 12 months, and what were the results? • How do you ensure operational excellence within the frozen sector, including maintaining availability, cleanliness, and upholding food safety and hygiene standards? The INDEPENDENT Community Retailer of the Year accolade recognises and rewards independent convenience retailers who are actively involved in their communities, looking at how a business works within the community for mutual benefit. Entrants must be independent retailers who own 10 stores or fewer. Information should focus in particular on activity over the 12 months to 1 April 2019. Include specific examples wherever possible. Please answer each of the questions in turn. How does your store support local good causes and how does this benefit both the business and the community? How do you target your community support? What groups/organisations are you involved with? How do you support charity fundraising or donate your time to good causes? How do you support your staff to do this? What innovative ideas have you initiated in order to engage with or benefit the community? Who leads your business’s efforts in the community? How much is paid time, and how much unpaid? Have you instigated any events within your community in the past 12 months? Have you led any successful community campaigns? How do you communicate your involvement with the community, both internally and externally? How much money have you raised for local or charitable causes over the past year, and what donations, if any, has the business itself contributed? How have you worked with local bodies such as the council or the police? How do you work with local suppliers? How much local produce do you stock? You may supply up to 10 photographs to accompany your entry, as well as other supporting documents. Entries must be for a single nominated store and all submitted information should relate to the performance of that store. Where a refit has been carried out, it must have been completed by the end of December 2018. Retailers are required to demonstrate how they have performed during the 12 months to 1 April 2019, providing documentation where appropriate, including a total of six photographs. • How have you developed the store over the past 12 months to better meet the needs of shoppers, and what were the results? Why did you take this approach? • What was the most significant improvement you made? • What approach do you take in order to understand your shoppers’ requirements? • How do you support your local community? • How have you made use of technology to improve your business and enhance the customer experience? • What makes your store stand out from the competition? • What are your top five most important categories in-store and what percentage of sales do they account for? You will also need to provide factual details of your store, including: store size, average weekly sales, profit margin, opening hours, year-on-year sales variation and services provided. This award is open to all INDEPENDENT convenience retailers, affiliated or non-affiliated. Judges will be looking for clear evidence of positive developments over a maximum two-year period to 1 April 2019. Nominations should be for a single store and all submitted information should relate to the performance of that store. Where a refit has been carried out, it must have been completed by the end of December 2018. •	What shopper needs did you identify and how did you go about this? •	What actions did you take as a result? •	What were the most important improvements you made? •	How much did you invest and what is the payback period? •	What improvements did you see as a result, for example in terms of increased footfall, basket spend, sales and profitability? •	Which categories have been particularly successful? •	How did you engage your staff in the process? •	How did you communicate the improvements to your customers and potential customers? •	What makes you stand out from the competition? This category is open to those retailers who can demonstrate their full commitment to driving change by improving the sustainability of their operations. Winning entries will demonstrate a positive impact across the environment, marketplace, workplace and community. Demonstrate what steps you have taken in the past 12 months (to 1 April 2019) in each of the following areas with respect to your store, your staff and your customers. All entries should clearly demonstrate how retailers are pushing beyond legislative requirements by going beyond what is expected from a legal perspective in all aspects of their submission. Please give specific examples of initiatives and policies and how these have been implemented within the business. Entrants should supply supporting material wherever possible, including up to 10 photographs to accompany your entry. The Multiple Community Retailer of the Year accolade recognises and rewards retailers for investing in their communities, looking at how a business works within the community for mutual benefit. Entrants must be MULTIPLE groups running a chain of more than 10 stores. All information should relate to performance over the 12 months to 1 April 2019. Include specific examples wherever possible. •	How does your company support good causes? For example, do you partner with charities, schools or community groups? •	How do you involve your staff and educate them about the importance of building the store’s presence in the community? •	How much employee time and skills do you give to the community? •	Do you give materials, provide premises or prizes etc? •	How do you keep staff informed about what you have achieved within the community? INDEPENDENT – Open to convenience retailers and newsagents who own 10 stores or fewer. Entries should be for a single store. COMPANY-OWNED – Individual store belonging to a multiple convenience operator with more than 10 stores. Entries should be for a single store. •	How large is your store and what are weekly sales overall? •	What merchandising principles do you follow on Lottery products and how do you ensure merchandising standards are maintained at all times? •	How do you ensure merchandising standards are maintained on scratchcard dispensers? •	What point-of-sale materials do you display and when? •	How do you promote events such as rollovers and millionaire events? •	Outside the store, how do you advertise the fact that you sell National Lottery products? •	How do you highlight good causes in your area that have benefited from National Lottery funding? •	What have you done to grow lottery sales in the last 12 months? The Newcomer of the Year award has been created to recognise some of the brightest rising stars in the independent convenience sector. The award is open to anyone who has joined the sector within the past two years (to 1 April 2019), bringing innovation and enthusiasm and making a real impact on the business. The judges will be looking for individuals who are regarded as outstanding talents in their field, have great business acumen and are seen as an inspiration to their peers. They should work for an independent convenience business that is either a single store or part of a group with up to 10 outlets. Please provide a statement of no more than 750 words outlining why you think this person should be named Newcomer of the Year at the 2019 Retail Industry Awards. When did the nominee join the business? How have they contributed to the success of the business over the past 12 months? What is their approach and how does their personality/attitude make a difference? What new ideas have they brought to the business? How do they incorporate wider consumer/sector knowledge? How do they inspire their staff or co-workers? How do they combine day-to-day considerations with the need for forward planning and future thinking? This award is open to supermarkets and specialist online-only grocery operators who sell a comprehensive range of products across multiple categories. Judges will be looking out for how the business has developed its online grocery service over the past 12 months to grow sales and profits, improve customer service and exploit new opportunities for growth. Criteria will include site design and usability, customer experience and business performance, as well as innovations and initiatives developed over the past 12 months. The winner will need to demonstrate a clear understanding of their customers’ needs and an ability to fulfil those needs with seamless customer service. Each year, the Retail Industry Awards seek to reward an individual who has made an outstanding contribution to the UK food and drink retail sector. We look for a person who has stamped their personality on the sector, who has shown drive, passion and commitment to boost performance and quality in their business. The decision is made by the editorial team of Independent Retail News and TalkingRetail.com. Booker chief executive Charles Wilson, who presided over a remarkable turnaround in the fortunes of the company he rejoined as chief executive in 2005. Fromer director general of GroceryAid, Gillian Barker, in recognition of her tireless work in boosting the support given by the industry charity to those who have fallen on hard times. James Lowman, chief executive at the Association of Convenience Stores, awarded for transforming his organisation into a truly professional and highly influential body that provides fantastic support to its members. Sometimes there is a need to recognise the major contribution an organisation has made to the sector. In 2017, the award went to Iceland, in recognition of its successful investment programme that has turned around customer perceptions, earning the retailer a renewed reputation for providing great food at affordable prices. 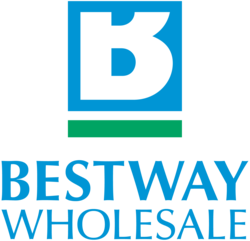 Wholesaler Bestway took the award in 2011, recognising its outstanding achievement in growing from a single store in West London to become the UK’s second-largest cash and carry operator in the course of 35 years. Further recent winners have included the Co-op, Aldi, Spar UK, former Sainsbury’s chief executive Justin King, and Costcutter founder Colin Graves. But who will follow them this year? Although the winner is decided at the discretion of the editors, judges of all the other awards categories are asked to put forward their suggestions for consideration. This category is for owners of convenience stores and supermarkets whose outlet includes a post office counter (or combination till). The winning stores will be those that can clearly demonstrate how they integrate the two elements – post office services and grocery/impulse retail – to make a success of the overall business. Judges will be looking for entries that show how each element works in tandem with the other to mutual benefit. All entries must be for a single named store. 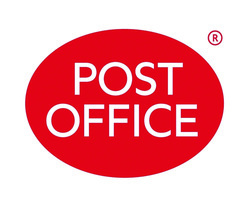 Please provide information to show how your store and post office has performed in the 12 months to 1 April 2019, including photographs. •	How does the post office integrate with the retail side of your business? Explain how the two parts of the business complement each other. •	What steps do you take to maintain high in-store standards? •	What is your definition of excellent customer service and how do you make sure you and your staff deliver it consistently? •	How has your business performed financially over the past 12 months? Give up to three examples of changes you made that have cut costs or increased profits. Entrants are strongly advised to include relevant supporting materials to accompany their entry, including up to 10 photographs. This category is open to MULTIPLE retailers (more than 10 stores) of fresh and frozen, prepared and unprepared seafood. All eligible supermarkets will automatically be entered for this award, but retailers are also encouraged to submit their own entries. Submissions should focus on the 12-month period to 1 April 2019. •	The activity you undertake via your website to inform and educate your customers about seafood: how you source it, recommendations on purchase, preparation, cooking, etc. •	Specific training undertaken to equip store/serving staff with knowledge about where/how product is sourced, allowing them to talk knowledgeably to customers about responsible sourcing issues, etc. •	How the Seafood Retailer of the Year award would be promoted if you were to win. The award highlights the value of innovative store design within the UK grocery retail sector and its contribution to business success. It recognises a newly opened store or store redesign/refurbishment completed during the 12 months to 1 April 2019. Entries should focus on a single outlet. •	What prompted the new design? What were the key aims? •	How did you decide what to include and where to invest? •	How long did the build/refit take? Who was responsible for the design and build? •	Did it complete on time and on budget? If not, how much was it over/under? •	What are the key features of the design? What materials did you use? •	How much chiller space is included? Is there a food-to-go area? •	What makes it innovative? How does it make the store stand out from its competitors? •	How did you incorporate new technology? •	How much did the redesign cost and what is the payback period? Please also supply some general information about the store: sales area in square feet; average weekly gross sales; characteristics of your trading area; customer profile; symbol/fascia membership (if applicable); number of staff employed. All information should relate to your performance over the 12 months to 1 April 2019. Include specific examples wherever possible. Managers may nominate themselves, or store owners may submit an entry on behalf of their store manager. •	Describe your team and the business you manage (250 words). •	How have you (the manager) handled your team to make the business a success over the past 12 months? •	How does your management approach help differentiate your store from the competition? •	What innovations have you introduced over the last year, and how have these benefited the business? •	What challenges have you faced in the role? •	What have been your biggest achievements over the past 12 months? •	What techniques do you use to motivate your staff? •	How have you communicated new strategies to staff and customers? •	How would you promote the Store Manager of the Year award if you were to win? This award is open to teams working in individual INDEPENDENT convenience stores or SMALL GROUPS with 10 outlets or fewer. It is designed to recognise store teams that go beyond the call of duty to deliver outstanding customer service and make a real difference to the business and the community they serve. Judges will be looking to reward a team that can demonstrate how its hard work, expertise and enthusiasm have contributed significantly to the success of the business over the past 12 months. 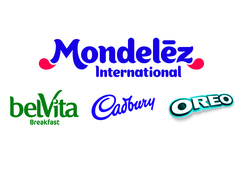 This category is open to all grocery-led MULTIPLE retailers (companies operating more than 10 stores the UK). All eligible supermarkets will automatically be entered for this award, but retailers are also strongly encouraged to submit their own entries in the form of a PowerPoint presentation of no more than 12 slides. Submissions should concentrate on achievements in the year to April 2019, but the judges may also take into account more up-to-date information, if available. All symbol and fascia groups operating in the UK convenience retail sector are eligible to enter this award. These will include UK-wide groups – such as Bargain Booze, Best-one, Budgens, Costcutter, Family Shopper, Lifestyle Express, Londis, Mace, Nisa, Parfetts Go Local, Premier, Select & Save, Simply Fresh, Spar and Today’s – as well as regional groups such as Centra, KeyStore, SuperShop, SuperValu, Vivoxtra and Welcome. Please also provide up to 10 photographs to support the submission. As part of the presentation, you will also be asked to highlight any initiatives from the past year that you would like to be considered for the Symbol Initiative Award. Shortlisted groups will be invited to present their business to an expert industry panel of judges and take a number of questions during a dedicated judging day in June/July. Shortlisted groups will be contacted to be given a timeslot. • Introduction of a new fresh and chilled offering. Companies entering Symbol/Fascia Group of the Year are asked to highlight any initiatives they think meet these criteria as part of their overall submission. The Trailblazer of the Year award recognises up-and-coming talented individuals or pioneering businesses operating within the UK grocery retail sector. Nominees must show evidence they have made a significant contribution to the industry during the 12 months to 1 April 2019. Please include figures showing how these initiatives have benefited (or will benefit) the business financially. You may provide up to 10 photographs to illustrate and support your entry. Sales teams are a vital part of the supply chain, and an integral part of the retail sector. The Sales Team of the Year award is designed to recognise and reward the efforts and contribution of those teams that provide outstanding support and service to retail outlets around the country. Sales teams are asked to upload their submission in the form of a PowerPoint presentation of no more than 12 slides. Entries are open to any sales teams that service the independent convenience sector. Entries are open to any retailer initiatives run by suppliers that have been in operation during the 12 months to 1 April 2019. Seeking out good advice – and then acting on it – is a vital component in the success of any independent retailer. But that advice is not always easy to come by. That’s why, in recent years, a variety of suppliers have stepped forward with their own business and category initiatives to provide independents with essential advice on things like merchandising and display, range, availability, best sellers, consumer insight and market trends. Using category insight from leading analysts, often combined with guidance from top retailers and suppliers’ own research departments, such initiatives have proved invaluable in helping store owners grow sales and boost profits. Many include a website where all the advice is available to retailers 24 hours a day.